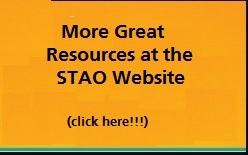 The STAO Safe on Science document (2011) indicates that only class 1 and class 2 lasers are recommended for use in high school science classes. Many of the documents that I have examined indicate that Class 3A (old classification), now called Class 3R (new classification) are also safe, unless viewed through an optical device. I respectfully request that the safety committee re-examine this issue, and include Class 3R in the recommendation. Click for the committee’s response. How can light be used to cool atoms and molecules ? Lasers are known to burn things, fix eyes, and dance on powerpoint presentations. But they can also be used to cool objects to some of the coldest temperatures in the universe. Laser Classification: There are currently 7 hazard classes of lasers. As the class number increases, the danger from direct and indirect viewing of the laser beam increases. While direct viewing may seem obvious, the eye must be in the path of the beam. High school activities typically position students at 90′ to the direction of the beam as they watch it travel through lenses, reflect off mirrors, or form interference patterns when the beam enters a diffraction grating. Looking at a beam from the side as it travels through the air is not direct viewing and will not result in eye damage. Indirect viewing occurs through speciality devices that employ mirrors, lenses, and filters for detecting the laser beam. Class 1, 1M, 2, and 2M lasers have a visible light beam, and are safe under normal conditions of use. The blink reflex will protect users from retinal damage if the light beam is accidentally shone in their eyes. However, viewing the beam through a microscope, binoculars, telescope or other optical equipment may cause immediate damage to the eye. Class 3R lasers can be either visible or invisible. They are also safe under normal conditions, and the blink reflex for a visible beam will protect users from damage if the beam is accidentally shone in their eyes. However, viewing the beam through a microscope, binoculars, telescope or other optical equipment may cause immediate damage to the eye. Class 3B and 4 are more powerful lasers. They can cause eye damage when viewed directly, or by reflection from a matte or mirrored surface. Class 4 lasers also cause skin damage and may be a fire hazard. The Ontario Ministry of Labour requires that a Laser Safety Officer be appointed and trained to oversee the use of these types of lasers. Safety goggles specific to the laser wavelength must be worn when using these lasers. Investigating the properties of convergent and divergent lenses. Comparing a laser with a “light sabre” to understand how we perceive light. Contrasting specular and diffuse reflection. Contrasting the ray model of light with the wave model of light. Studying interference patterns in single slit, double slit or diffraction grating. Measuring wavelengths of different colours. None of these activities involve viewing the laser beam through optical equipment. The main safety consideration is that the beam be aligned so as to avoid student contact or reflective surfaces. As the blink reflex is the chief protection against eye damage, all of the classes 1,2, and 3R with visible beams would be appropriate. Since classes 1, 2, and 3R red lasers are weak at distances in excess of a few metres, the class 3R green lasers may be appropriate for some activities. Additionally, lab activities requiring different light wavelengths require different coloured lasers. One example of this would be to use the red laser to determine slit width on a homemade diffraction grating and then determine wavelengths of the green laser using the slit width calculated with the red laser, as a verification of the slit width calculation. Post Secondary Laser Applications: In colleges or universities, powerful lasers (classes 3B and 4) can be found in the complex equipment used in spectroscopy, analyzing molecules (size, orientation), vaporizing solids, etc. These beams are passed through optical equipment, and may reflect off the mirrored or matte surfaces of lenses, filters, and sensors. In these settings, the regulations require a laser safety officer, a standard operating procedure, and goggles that are appropriate for the laser application. Class 1, 2, and 3R lasers are dangerous in combination with optical instruments which change the beam diameter or power density. Lasers used in high school activities do not employ such optical equipment to view the beam. For class 1, 2, and 3R lasers with visible beams, the chief protection against eye damage is the natural blink reflex. If a person resists the natural tendency to blink by holding the eyelids open manually when starring into a class 3R laser beam, permanent eye damage will result. Direct exposure on the eye by a beam of laser light should always be avoided with any laser, no matter how low the power. Class 1,2, and 3R lasers with visible beams are appropriate for use in high school, particularly in senior Physics where monochromatic light sources are required. They are also appropriate when teaching grade 10 optics, under close teacher supervision. Teachers must ensure that the laser beam is aimed in a safe direction, and that reflective surfaces are arranged so that the reflected beam also travels in a safe direction. This will prevent accidental exposure to the beam. We hope that the information contained in this letter will assist you, in conjunction with school board safety officers, in making an informed decision as to the use of class 1,2, and 3R lasers with visible beams in the classroom. If you discover any new information regarding the safe use of lasers in high schools, please share that with the safety committee. 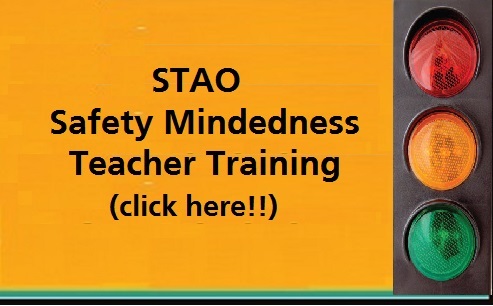 If you have any further safety questions, please contact us at info@stao.org. Feedback as to the thoroughness of this response and the response time would be appreciated. This enables us to improve this service. Sameena is always looking for engaging hands-on activities and meaningful assignments for her students, especially in the applied level classes. These help students understand the principles of science and remember them more easily. This assignment involves using the laws of reflection in the Optics strand. Students have to design a laser security system for a diamond exhibit following the given conditions. Sameena has used this assignment successfully with both the academic and the applied classes; it has appealed to all the different kinds of learners in the class. They learn how to correctly measure and draw angles using rulers and protractors, as well as learning the laws of reflection of light. Students can get very creative with decorating the gallery (one student glued colourful crystals for the diamonds!) as well as naming the security system. A healthy competition arises in using the least number of mirrors while still protecting the diamonds. The completed work can be displayed for a gallery walk. Sameena Rehman is currently teaching Science-Physics and Math at John Polanyi C I. She is interested in making science, especially Physics, easy to understand with hands-on activities and demos. Sameena can be reached at Sameena.rehman@tdsb.on.ca .